Maria Korolov on Hypergrid Business covers the news that Justin Clark-Casey is significantly scaling-back his involvement in OpenSimulator development. For those deeply entrenched in Second Life, his name may well pass unnoticed. However, since 2007, Justin has been deeply involved in OpenSimulator, as both a core developers and as a founding member and first president of the Overte Foundation, a non-profit organisation that manages contribution agreements for the OpenSimulator project. Just how big a role he has played can in part be seen through the 11,631 code commits he has personally made to the project over eight years – that averages out to just under four commits every single day. OpenSimulator (and the Metaverse in general) has been an amazing journey but, as they say, we have grown apart. For whatever reason the area doesn’t fascinate me as it did. For better or for worse, that’s crucial for me to feel happy in my work. I’m not disappearing completely but very likely for the immediate future my involvement will be at a low ebb (mainly answering mailing list questions and the occasional bug fix). My new field is quite a bit different (data warehousing for genetics and synthetic biology) but I will always have a soft spot for virtual worlds and the idea of the Metaverse. 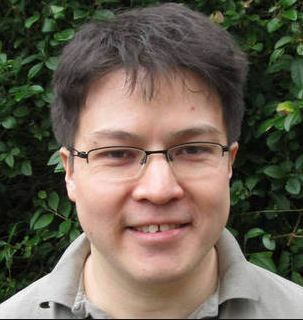 As well as his own code contributions, Clark-Casey has been noted for carrying out a significant portion of the work required integrate patches submitted by others, and has also taken on many of the organisational duties and activities which have perhaps been seen as somewhat onerous by other developers. His popularity and import to the OpenSimulator community can be measures by the outpouring of personal thanks and testimonials which followed his own blog post and featured in Maria’s Hypergrid Business article. According to Maria, Justin’s announcement has led to some concerns as to the future of the project. While there has never been a single de facto leader for the platform and its very diverse and global community, Clark-Casey has very much been the public face of the platform, hence some of the concerns raised. However, as others central to the platform’s development have been quick to point out, this is not the first time a key figure has opted to set back from the platform. As it is, the team of core developers has changed over the years and remains strong. Similarly, OpenSimulator itself enjoys broad-based support and engagement from individuals, groups, education and academia and business. As such, there is little need to doubt its foreseeable future. I only had cause to talk to Justin twice over the years, and was certainly not in any way acquainted with him. However, as a very occasional OpenSimulator visitor (notably via Kitely, OSGid and InWorldz), I offer my own thanks to him for all of his contributions to the OpenSim community, and best wishes as he enters a new stage in his career. Next Post Dare you try to complete The Collection in Second Life? Sad to see Him go, even if for a new project. He was one of the many that hear and helped me when i was on OSg, always helpful, no matter the question i had. OSgrid and Open sim is not in a lost but he will be sorely missed by all.